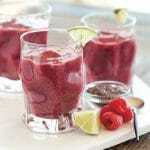 This Vegan Cherry Berry Smoothie is a dairy-free, delicious breakfast option with cancer-fighting ingredients. 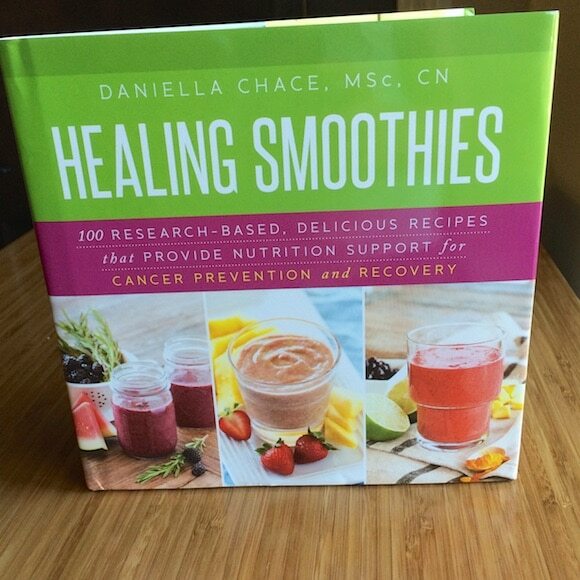 I got to check out a copy of the Healing Smoothies book recently and I was blown away by the combination of scientific research, beautiful photos, and great recipes, all with the theme of cancer prevention and recovery. The author, Daniella Chace, has written a companion book as well, called Turning Off Breast Cancer: A Personalized Approach to Nutrition and Detoxification in Prevention and Healing. Both of these books have a “plant-strong” point of view and are very well-researched and written, in my opinion. 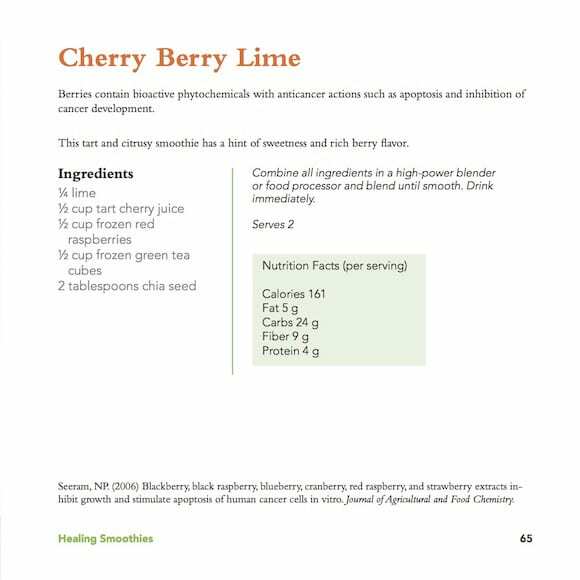 The Cherry Berry Lime smoothie caught my eye and Daniella’s publisher was kind enough to allow me to share the recipe with you today. 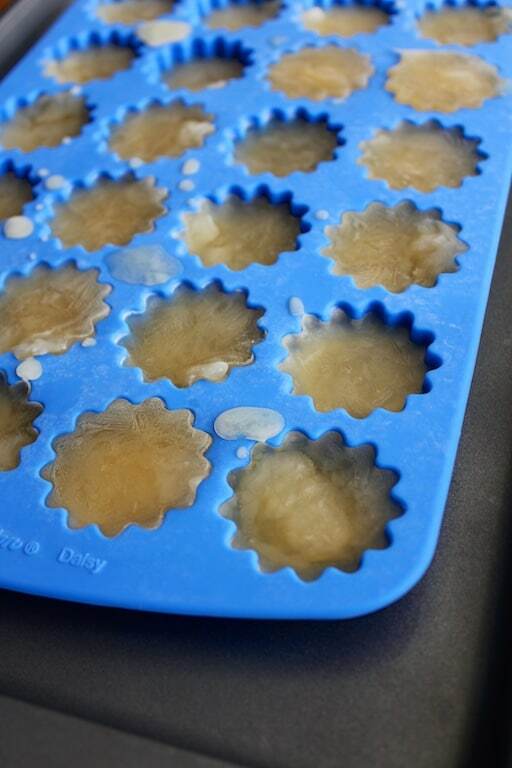 This recipe calls for “frozen green tea cubes” which I had never thought about making, but is genius. 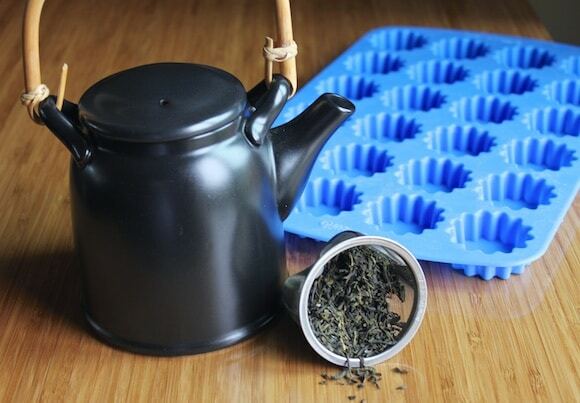 The idea is essentially to make green tea and then freeze into ice cubes. 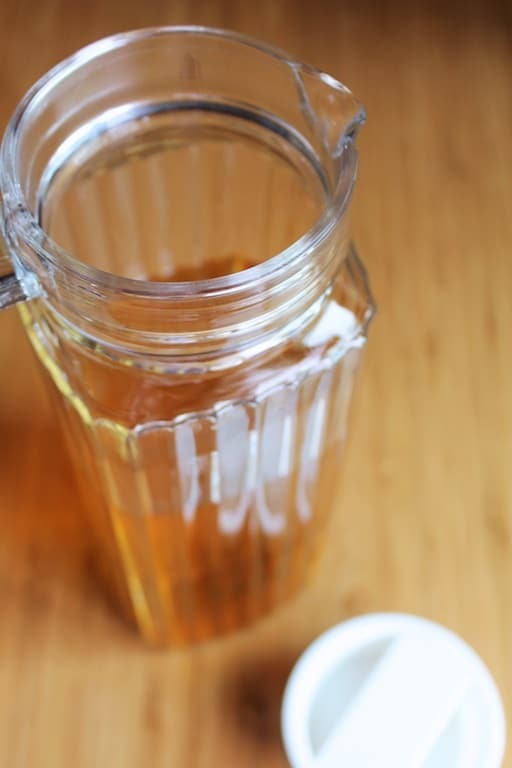 I used some organic jasmine green tea I had in my pantry, brewed for several minutes and then chilled in a glass container. 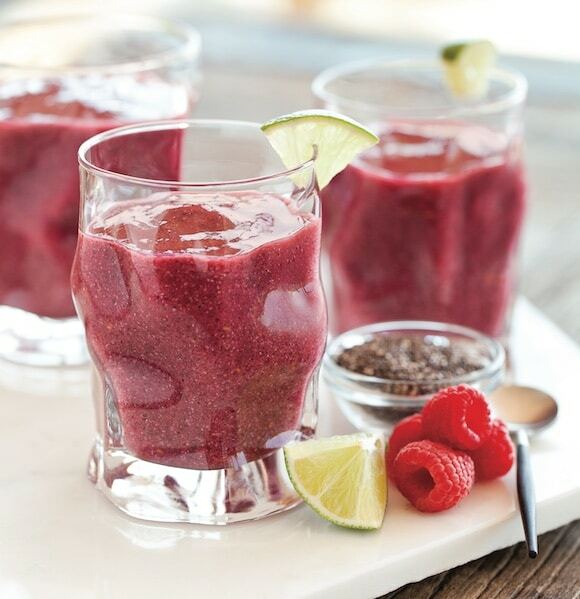 This tart and citrusy smoothie has a hint of sweetness and a rich berry flavor. 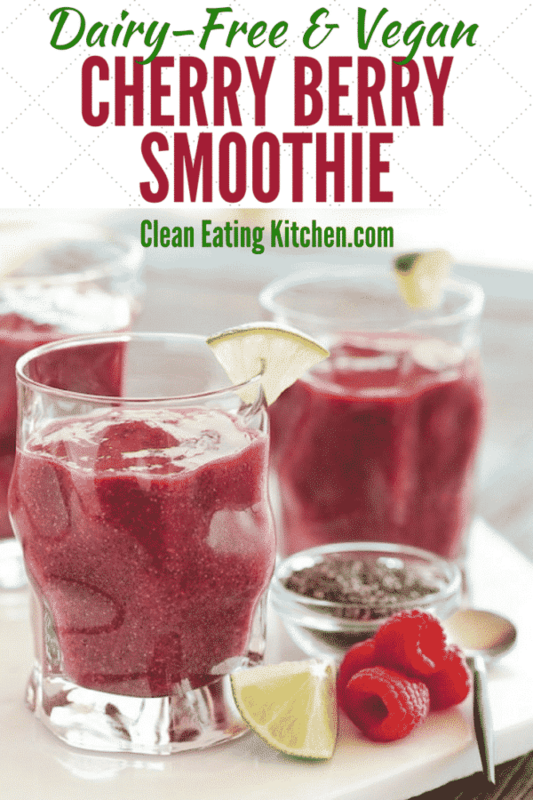 Combine all ingredients in a high-power blender or food processor and blend until smoothie. Drink immediately. There are so many great blogs; it’s difficult to decide whose I would name. I have a lot of great cookbooks, too; I love to pick the brains of other plant-strong cooks. One cookbook which I found particularly useful in learning to think outside the Standard American Diet box, is a cookbook by Marcella Lynch. It is called Cooking by the Book, published by Consolidated Printers, Inc. The carob fudge, for instance, has been tweaked to become my boys’ favorite holiday treat. The author is an Adventist, but it is a cookbook for all of us. I tweak a lot of the recipes, as she uses ingredients which are not food for me; but getting a starting point recipe, like the garbanzo loaf or Boston baked beans or millet breakfast bowl…just get me pointed in a direction and let me cook! I found my copy at Goodwill, but they’re available dirt cheap via Amazon, too. Worth buying just for the carob fudge! She has suggestions for cooking substitutions (chili powder, egg replacements, etc) as well. You had me at carob fudge, Linda! :0) Thanks for sharing this one. Right now my favorite cookbook (because I use it a lot) is Against all Grain by Danielle Walker and then Clean Start by Terry Walters ( I even got to take a cooking class with her). Ohhhhhh, great suggestions, Christine! A cooking class with Terry must have been awesome. XO! Would love to win these books to share with my sister who is currently dealing with breast cancer. I’m so sorry to hear about your sister, Michelle. There is a great resource for those currently dealing with breast cancer called The Silver Lining. I found solace in it even though it’s been almost 3 years since I was treated for cancer. The author is an online friend and survivor, Hollye Jacobs. The latest cookbook I’m trying recipes from is Sharon Palmer’s Plant-Powered For Life: Eat Your Way to Lasting Health with 52 Simple Steps & 25 Delicious Recipes. It’s so much more than a bunch of recipes. I like her roasted chickpeas with spices recipe but there are so many great versions of the chickpea recipes on the internet. Great snack the chickpea! 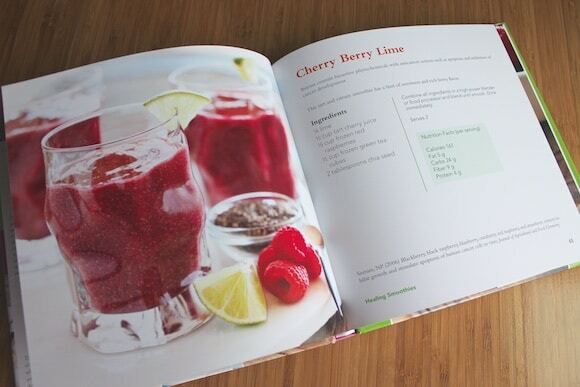 I must get some fresh raspberries and make the Cherry Berry Lime smoothie because it looks great! Great giveaway too. My grandmother was a breast cancer survivor. Thanks so much for sharing, Deb! I adore roasted chickpeas….what a treat! XO. Oh man…how can I choose just one? I have a million cookbooks on my shelf and so many bloggers bookmarked. But I always love Deena Burtons stuff and her new cookbook! Thanks, Nikki! Dreena is amazing! XO. As a three time cancer survivor currently undergoing treatment with limited appetite, I was pleasantly surprised to find the recipe you posted made me hungry. I can hardly wait to start blending tomorrow. Sending you much love on your recovery, Beth, and hoping you enjoyed a yummy smoothie this morning. XOXOXO. I have been enjoying Spork-Fed: Super Fun and Flavorful Vegan Recipes from the Sisters of Spork Food recently. I love these recipes. I am currently reading The Adrenal Reset Diet which is an informational text/cookbook hybrid. So far I am learning so great tips! Thanks for sharing these great resources. That book is on my library list and I have been waiting for months to get my hands on it! I heard an interview with the author and it sounds so interesting. Adrenal health is such a hot topic right now! Thanks for the note, Jennifer. There is a cookboo that I don’t have the correct name for, but is something like the cancer fighting Kitchen. Written by a chef who works at a cancer center. 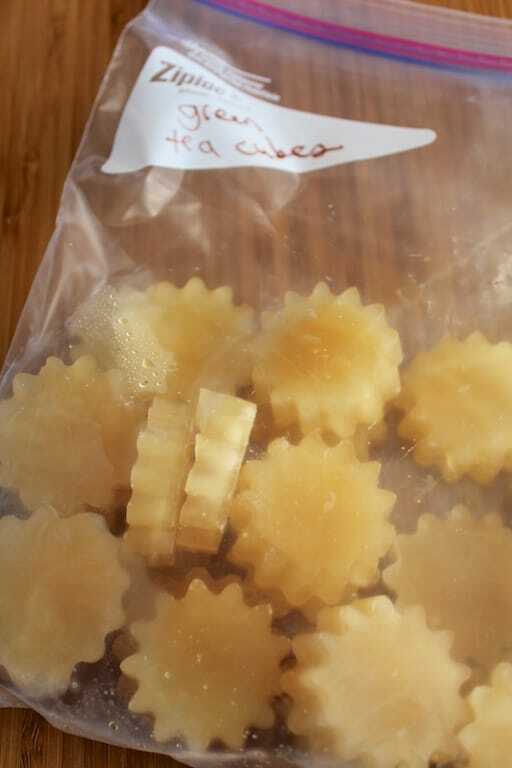 I found many recipes helpful and her advice for cooking for those with caner, while I was undergoing treatment for breast cancer. I also like the Engine 2 cookbook by Rip Esselstyn. The man is awesome! Your flower shaped “cubes” are so cute! Both of these books looks really interesting and I’ll definitely be checking them out. 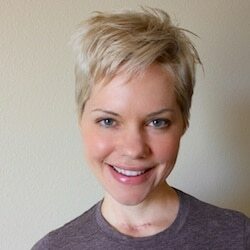 I lost my mother to breast cancer. I learned so much after she passed that I truly feel like she’s helping me in my plant-based journey and life. These look like they could be great additional resources. Also, my favorite cookbook right now is Dreena’s latest book. Thanks for sharing these books Carrie! Looks delicious and so healthy. Thanks Carrie for sharing healthy recipes!